Building Whole Person Leaders one at a time. CAPAW is the Premier Organization Developing AAPI Women to be impactful and influential leaders. 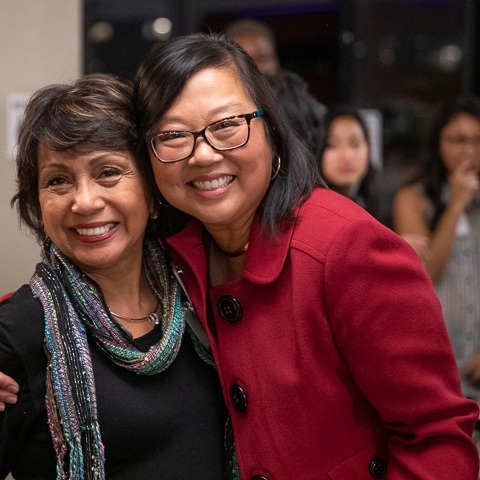 The Center for Asian Pacific American Women is a national, nonprofit organization dedicated to the enhancement and enrichment of leadership skills for Asian American and Pacific Islander (AAPI) women through education, networking, and mentorship. For over 20 years, the Center has provided a variety of professional development programs –including our unique APAWLI Leadership Program -- to address the specific needs of AAPI women across the country. Our vision is to develop ethical and compassionate AAPI women to take leadership roles in the private and public sectors. indicated that the APAWLI Program was either effective/extremely effective in connecting them to a network of other AAPI women leaders from across the country.